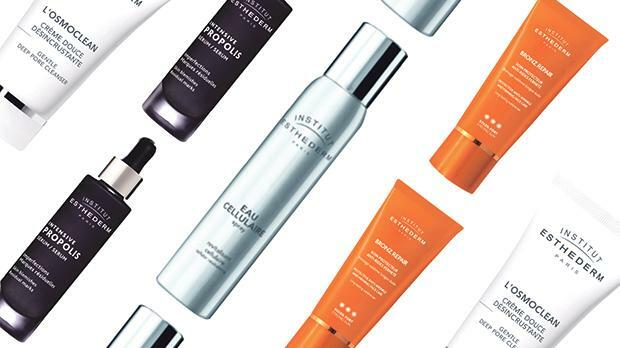 Since their creation in 1978, the Institut Esthederm research laboratories have been inspired by the skin’s natural resources to formulate custom skincare products capable of ‘re-educating’ the skin, keeping it balanced and adapting it to its environment and the passing of time. The Institut Esthederm formulations are intended to maintain youthful skin by continuously controlling the main factors involved in ageing, regardless of the environment and taking into account the skin’s natural rhythms. The exclusive time control system patent, contained in all the Esthederm face care products, helps curb the main factors of biological ageing by optimising the energy efficiency of cells. The ‘re-education’ of skin with problems is an age management strategy, enabling all skin types to capitalise on their natural resources, so they look younger for longer. Cellular water is at the heart of all formulas used by Esthederm. This unique water is patented and modelled after the water naturally found in the skin. It optimises the energy en-vironment of cells and helps them remain youthful. As the founding principle of all the Esthederm formulas and the leader in preserving youthfulness, it maximises the effectiveness of skincare products. A result of photobiology research undertaken since 1978, the exclusive UV incellium patent, depending on each person’s phototype and lifestyle, helps stimulate natural self-defence mechanisms in order to better protect the skin from the harmful effects of ultra-violet radiation (oxidative stress, DNA damage, inflammation). All Institut Esthederm treatment protocols benefit from a high level of expertise in preserving the skin’s health and youthfulness, in order to ensure natural, long-lasting results. That is why the Institut Esthederm philosophy recommends combining the use of products at home with the professional treatments performed by our partner skin experts. 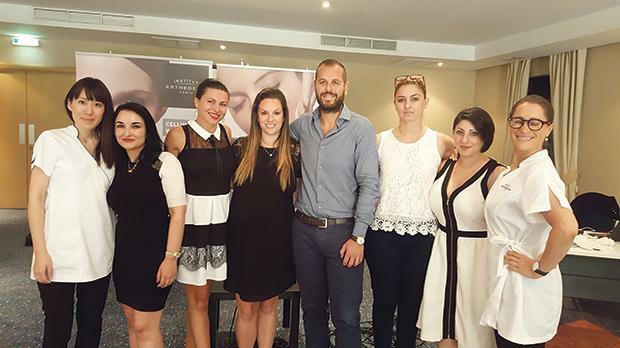 Institut Esthederm products and facial treatments can be found in leading beauty clinics, pharmacies and medaesthetic clinics in Malta and Gozo. For more information, contact Vivian Corporation on 2258 8600/info@viviancorp.com or Sarah Mifsud on 99728079 or via e-mail on sarahmifsud@viviancorp.com.